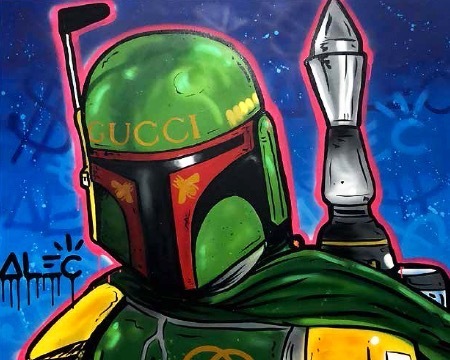 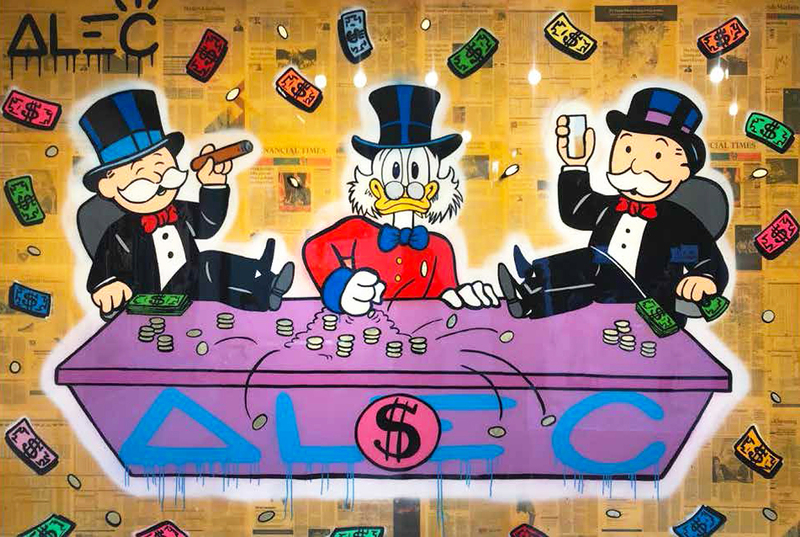 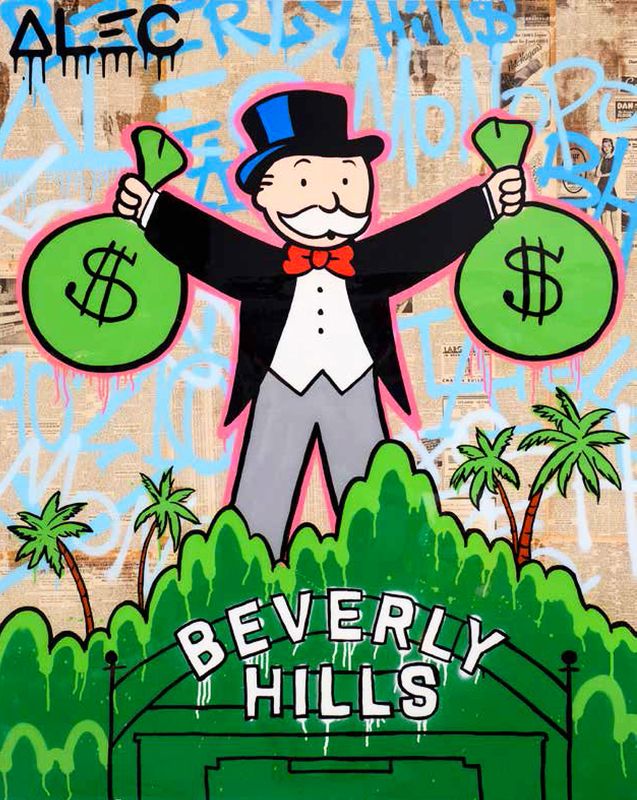 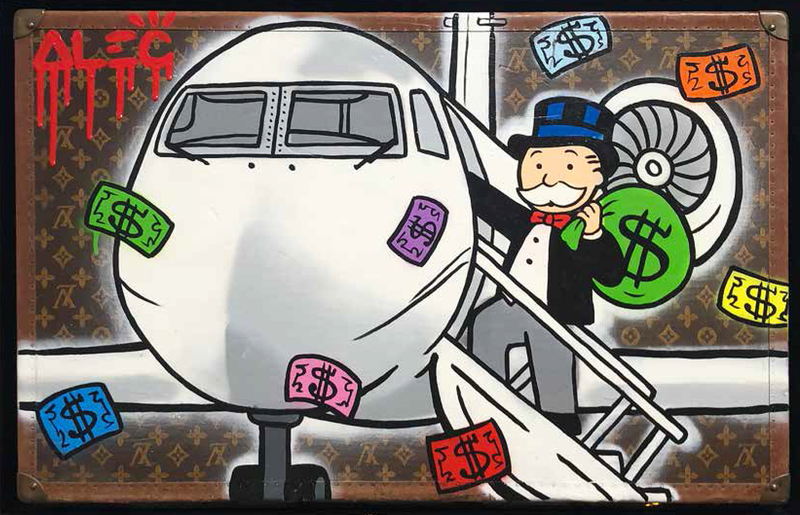 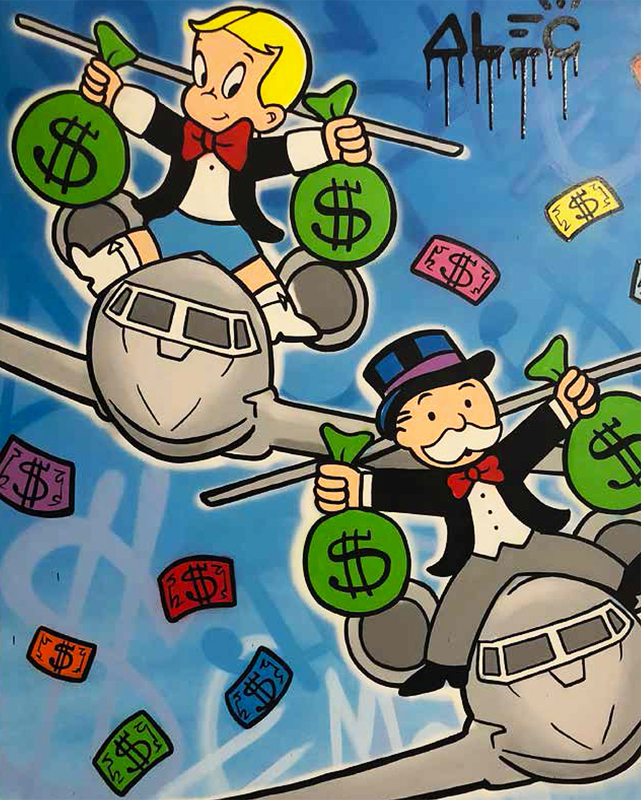 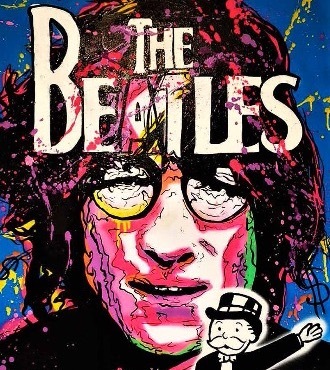 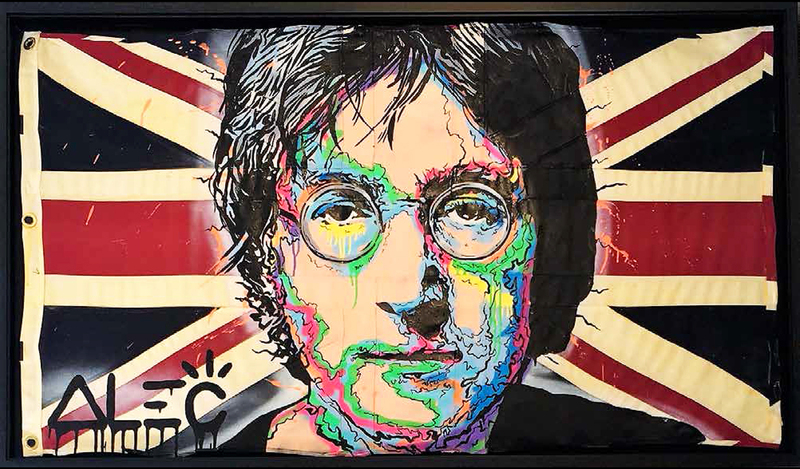 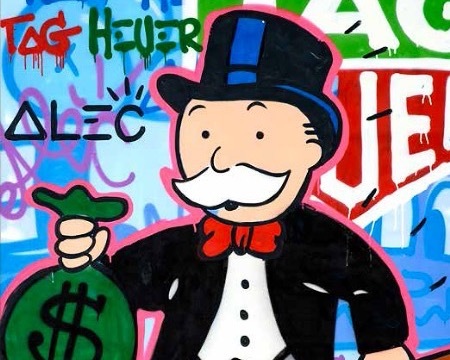 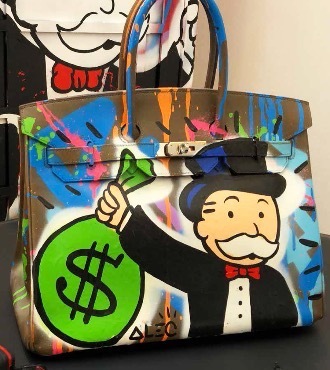 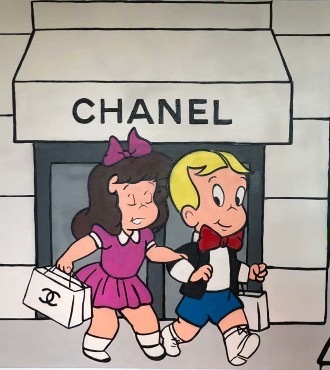 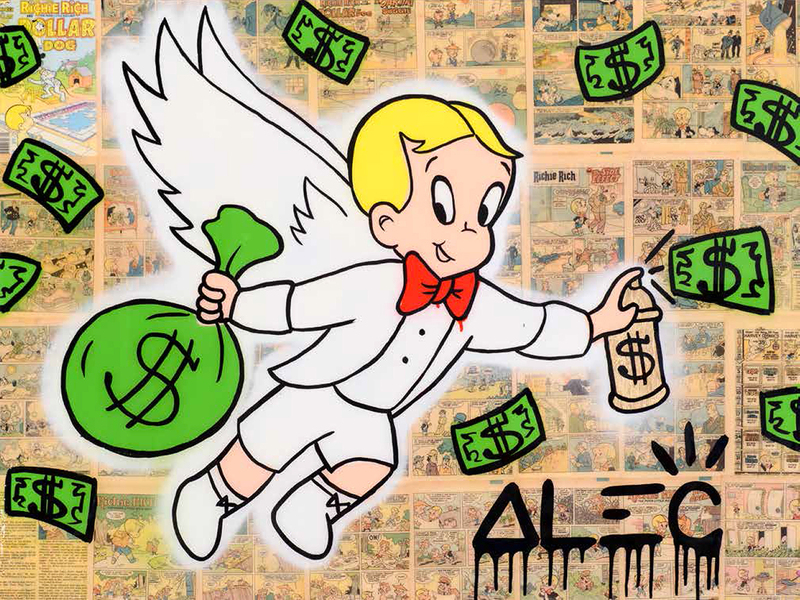 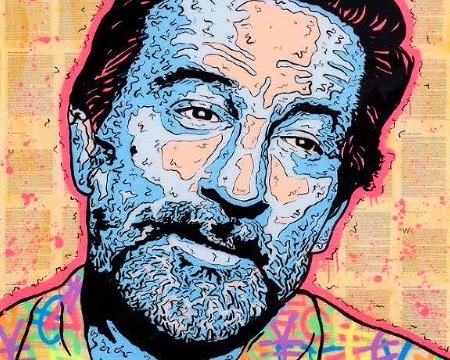 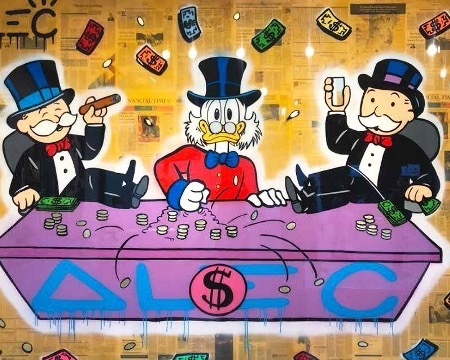 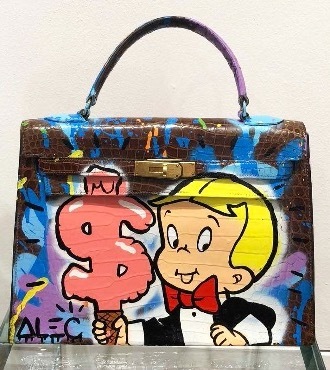 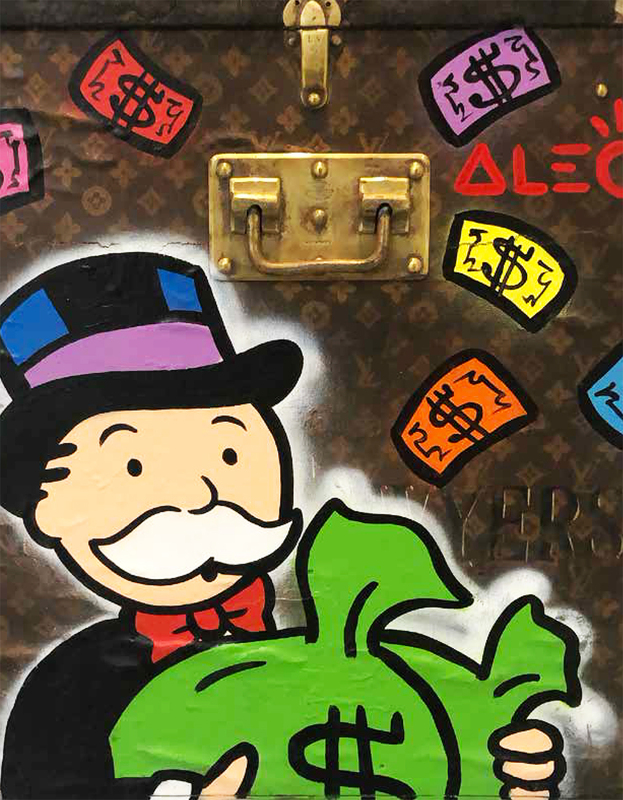 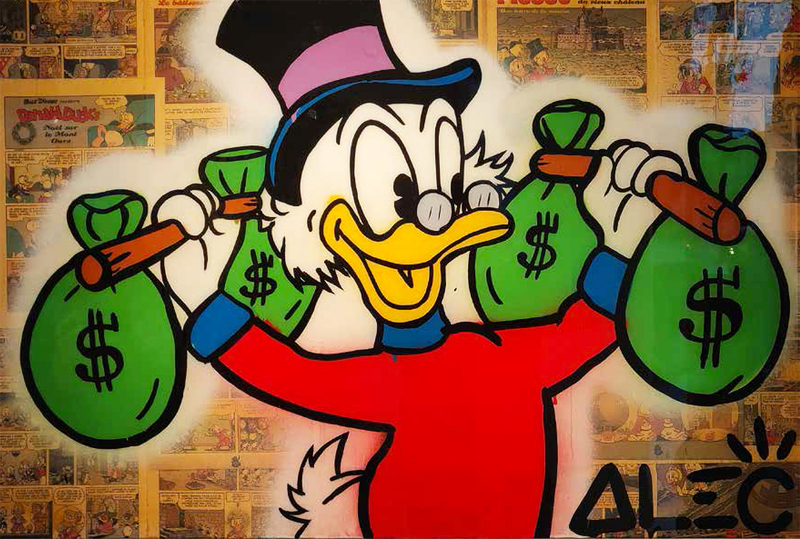 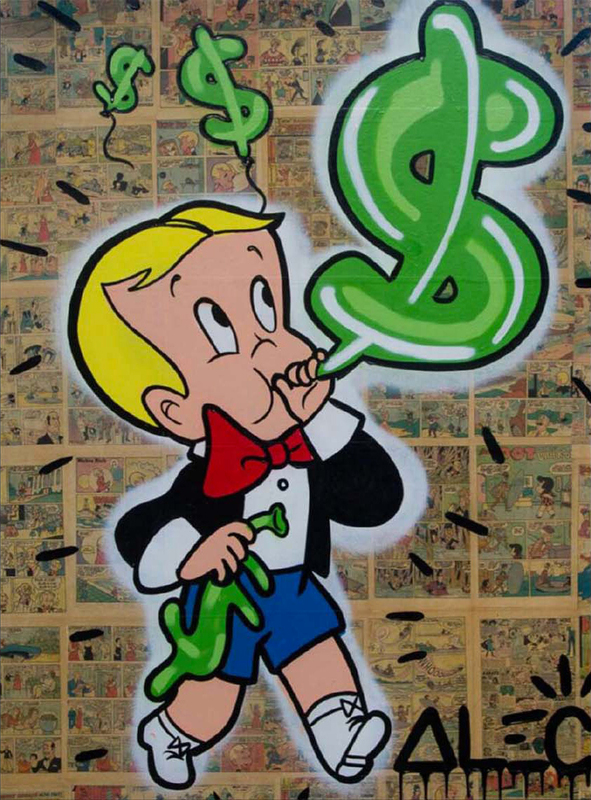 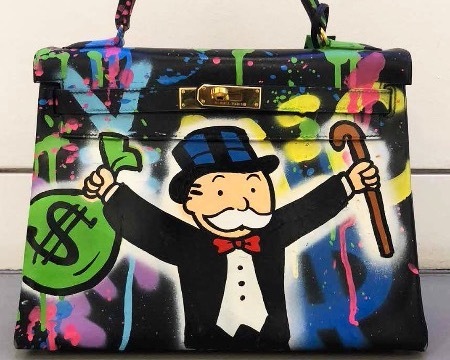 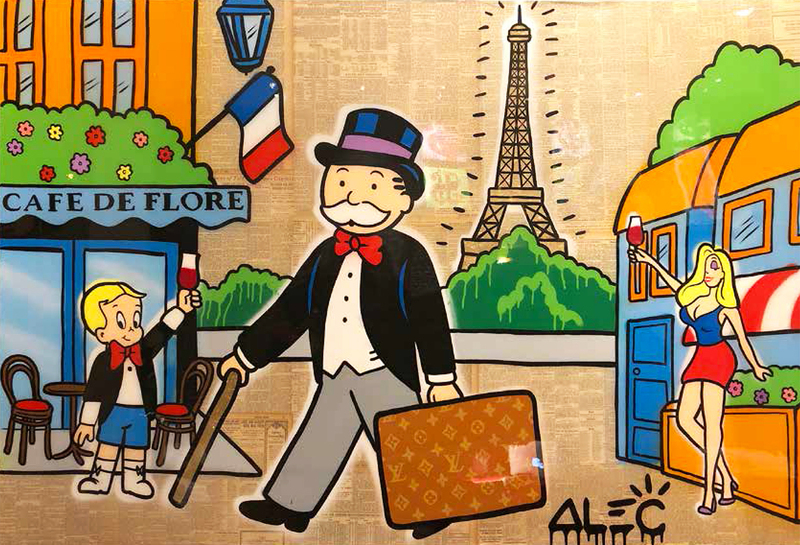 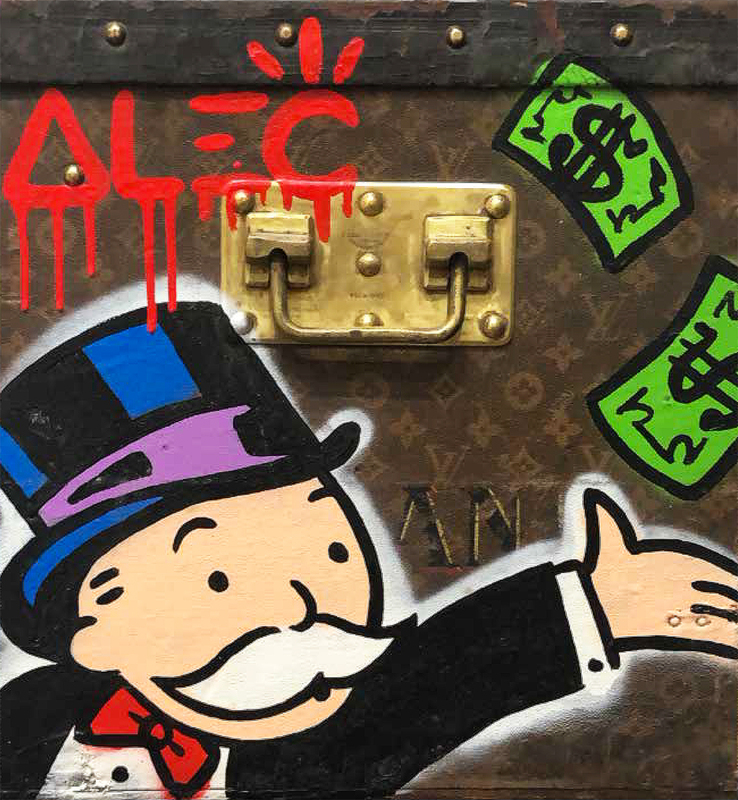 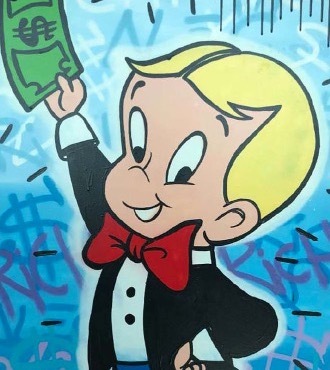 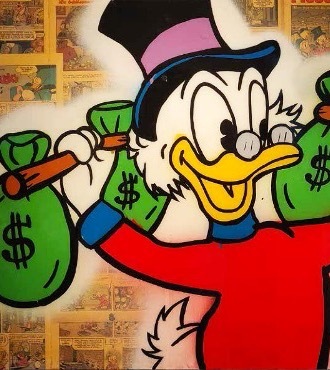 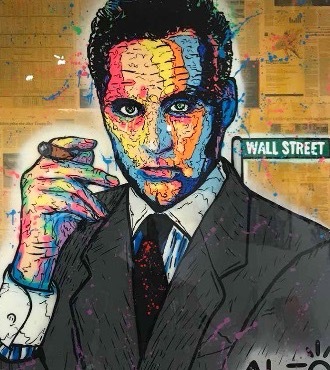 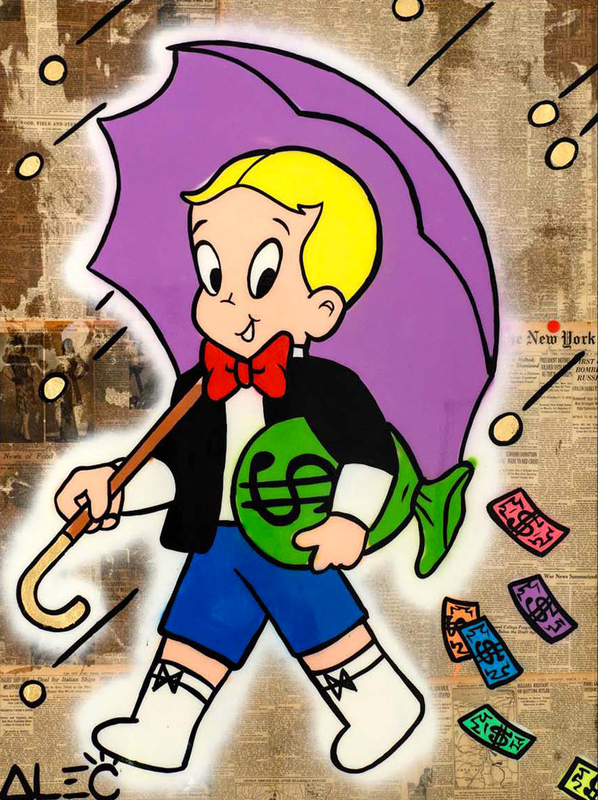 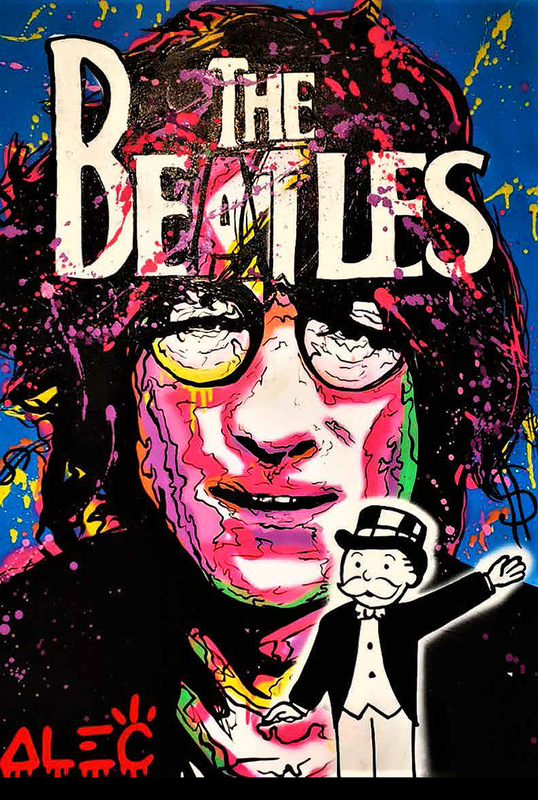 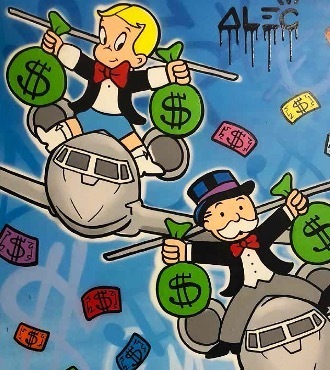 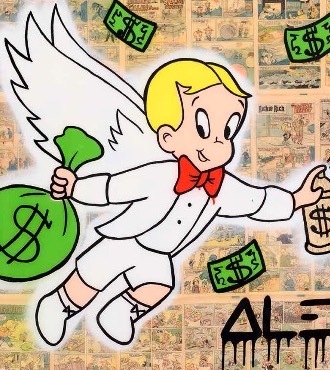 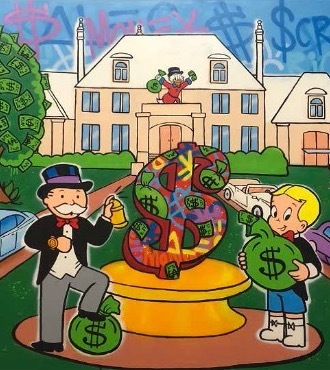 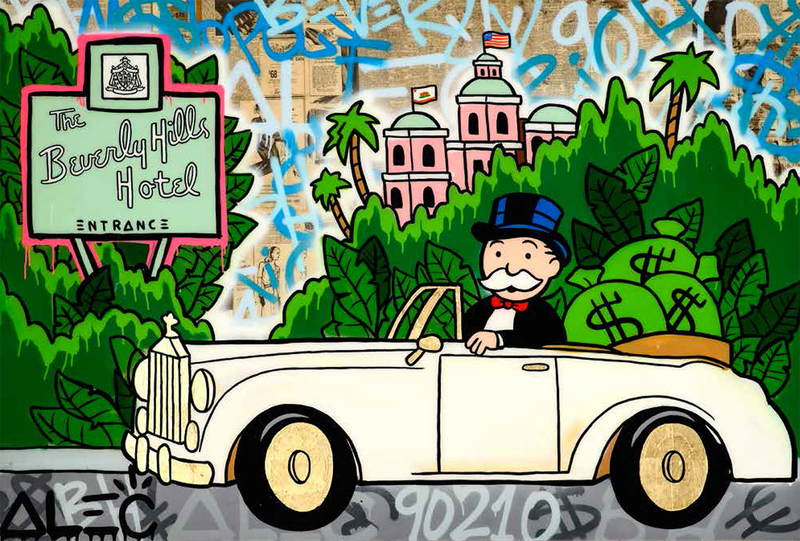 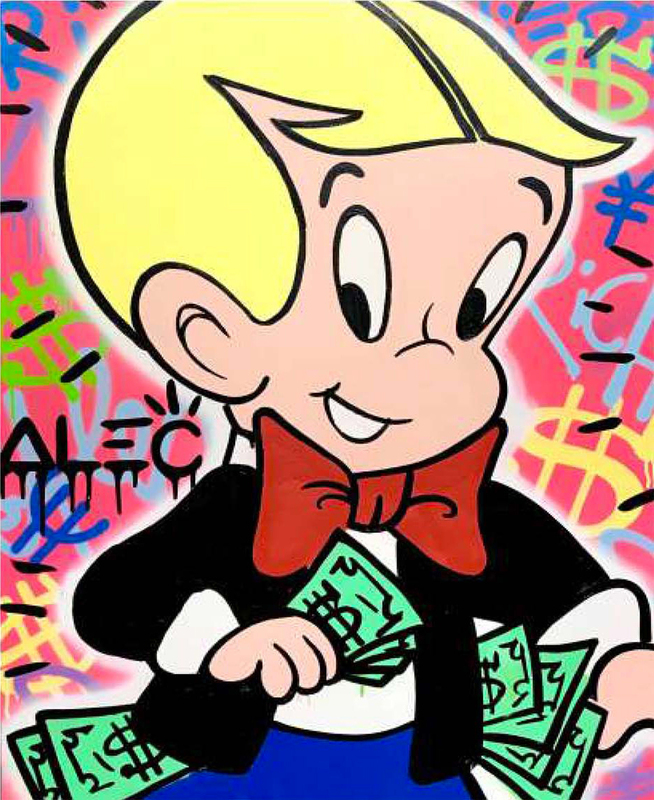 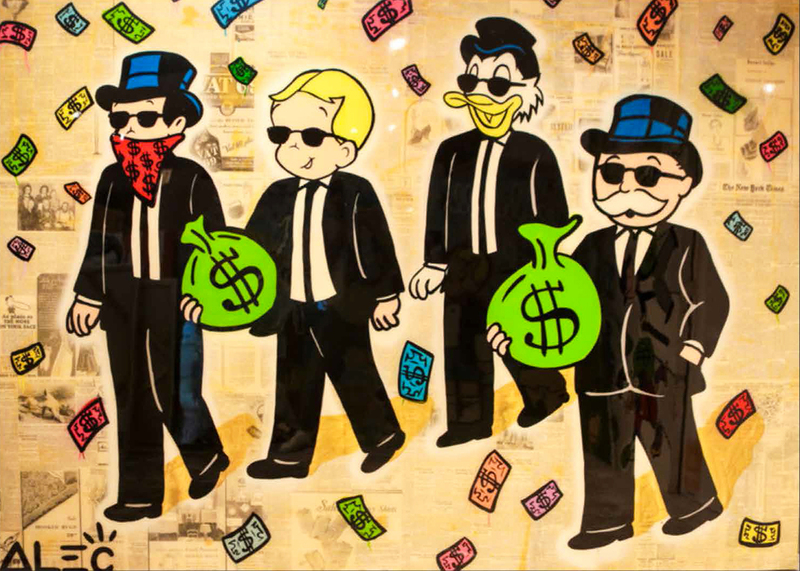 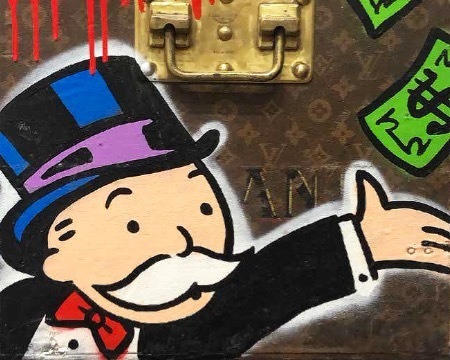 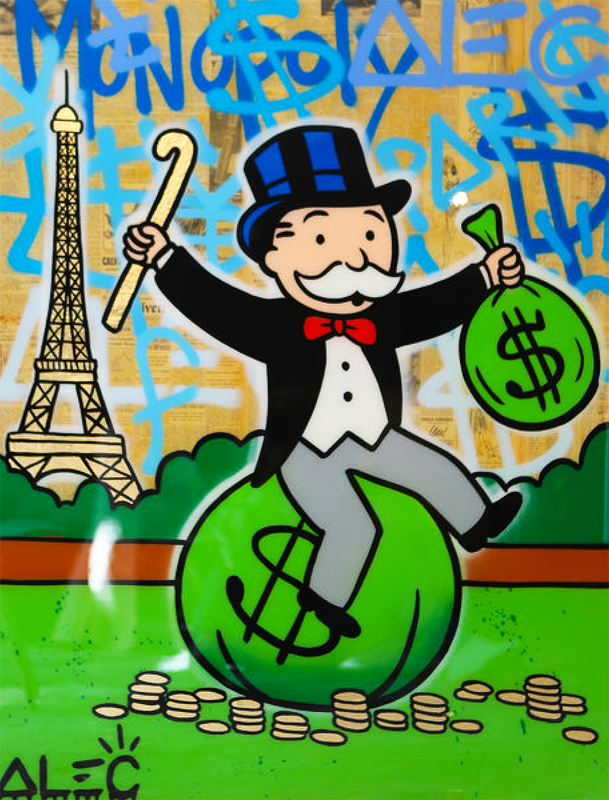 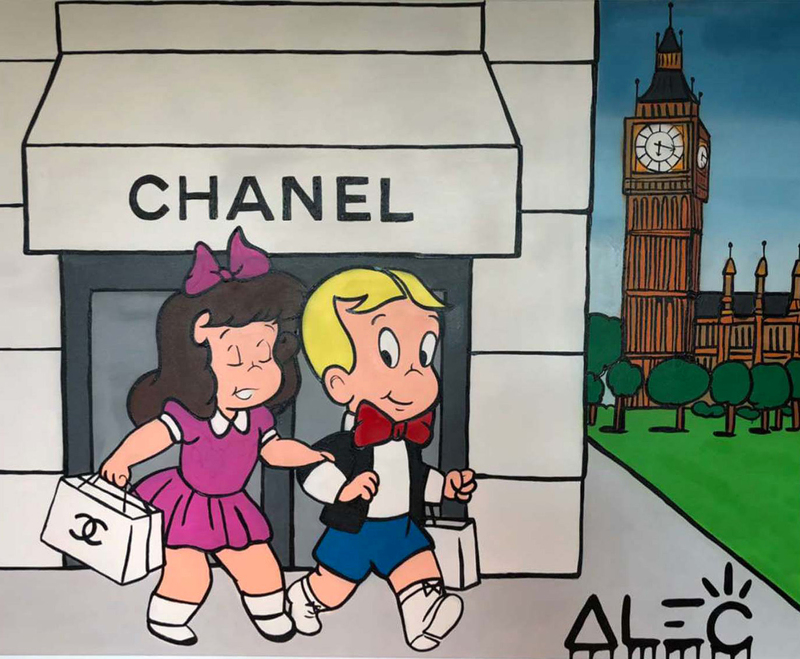 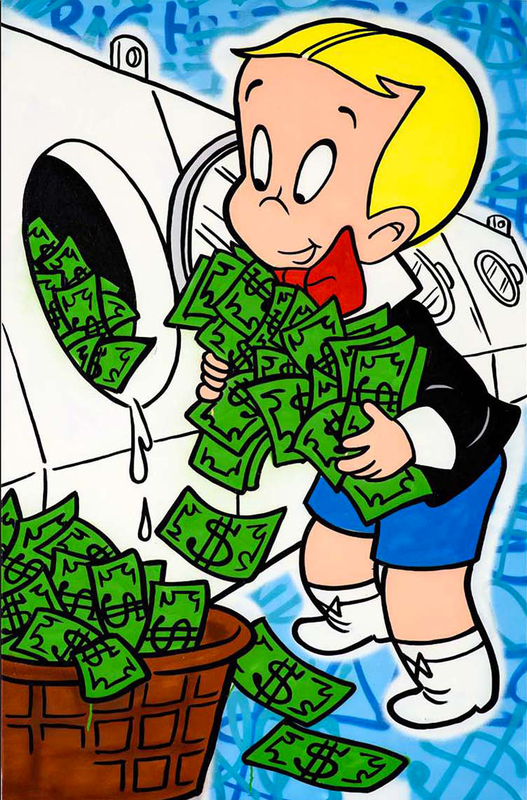 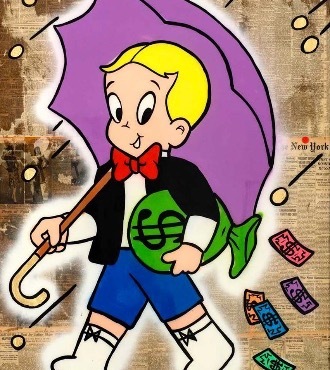 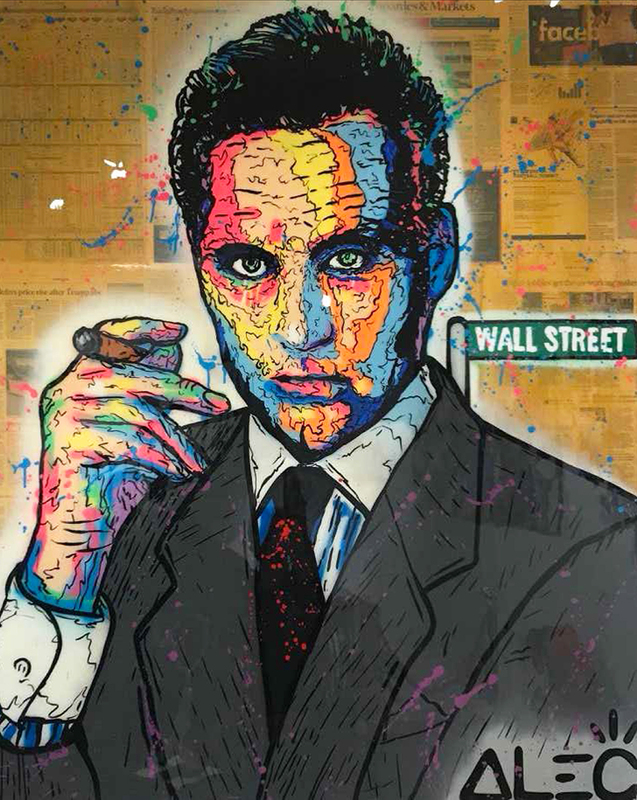 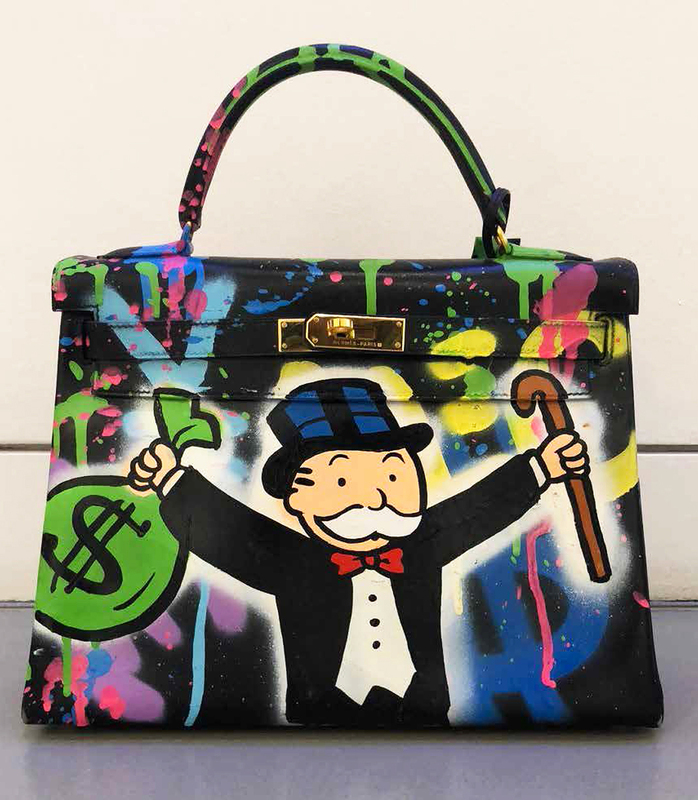 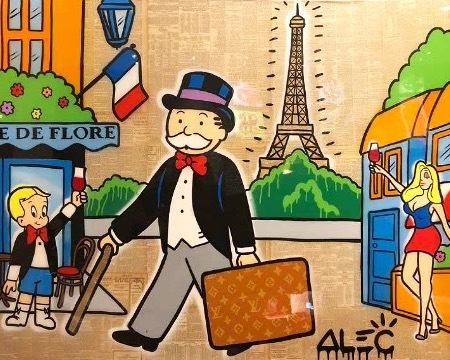 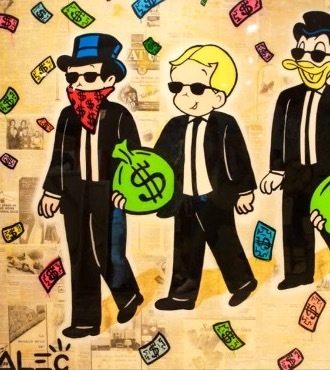 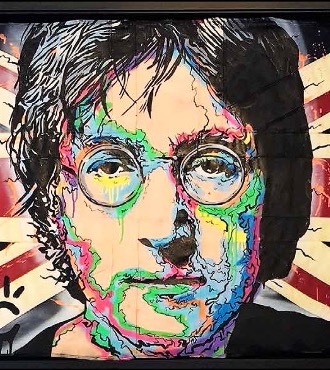 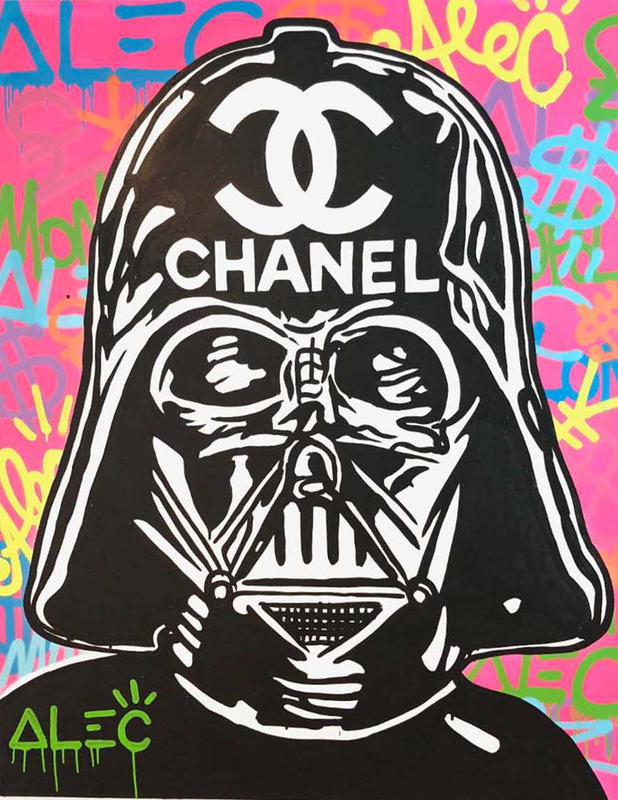 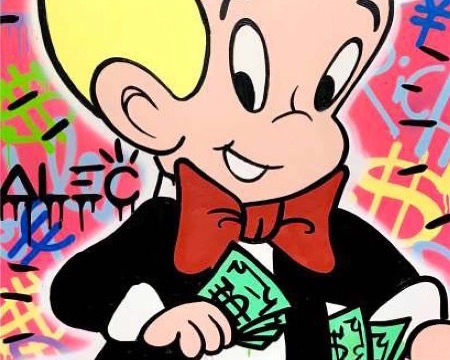 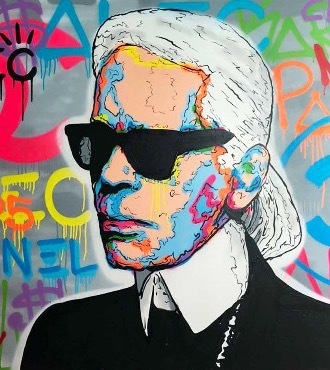 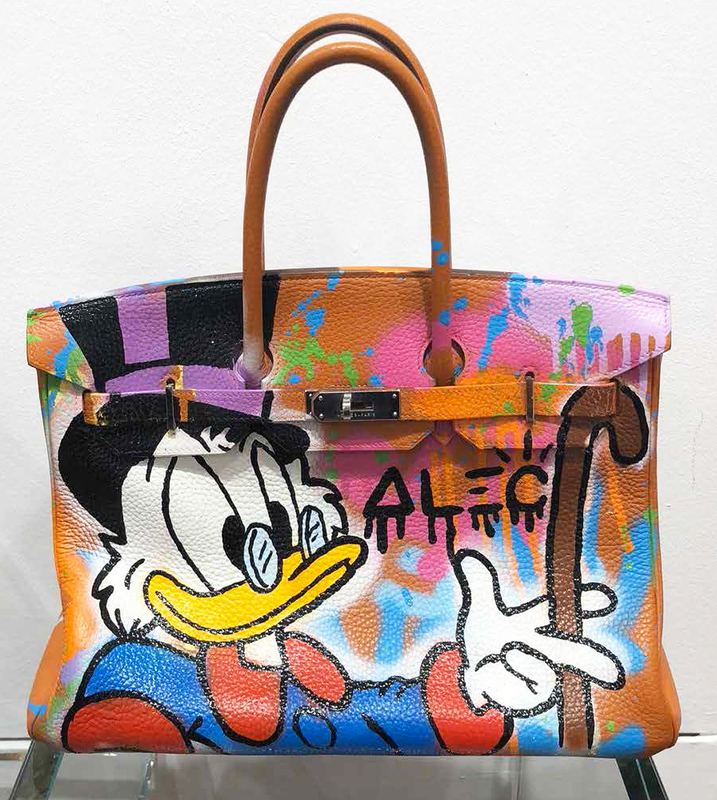 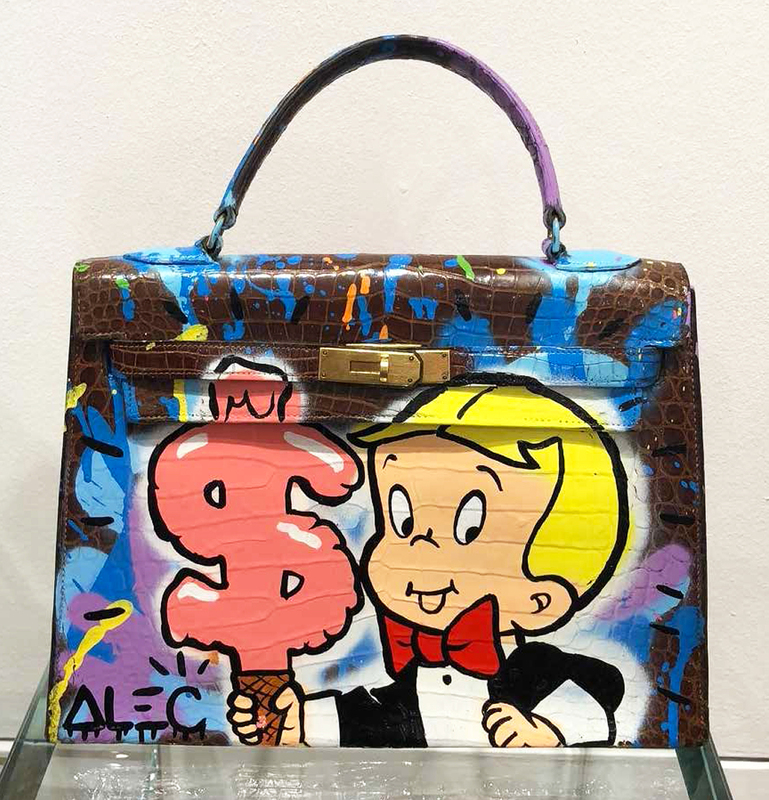 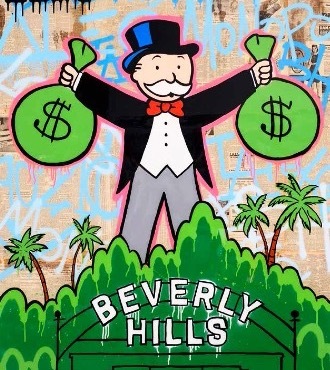 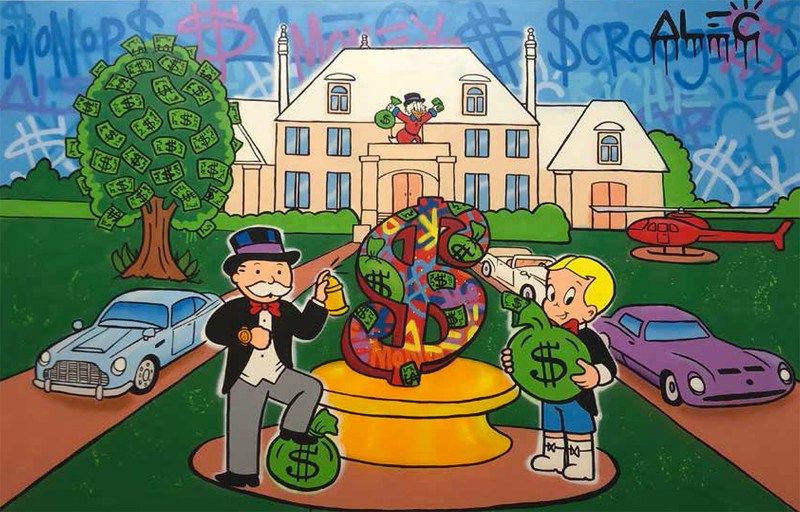 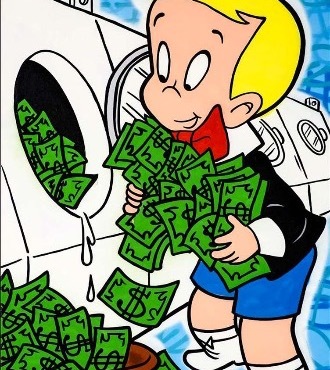 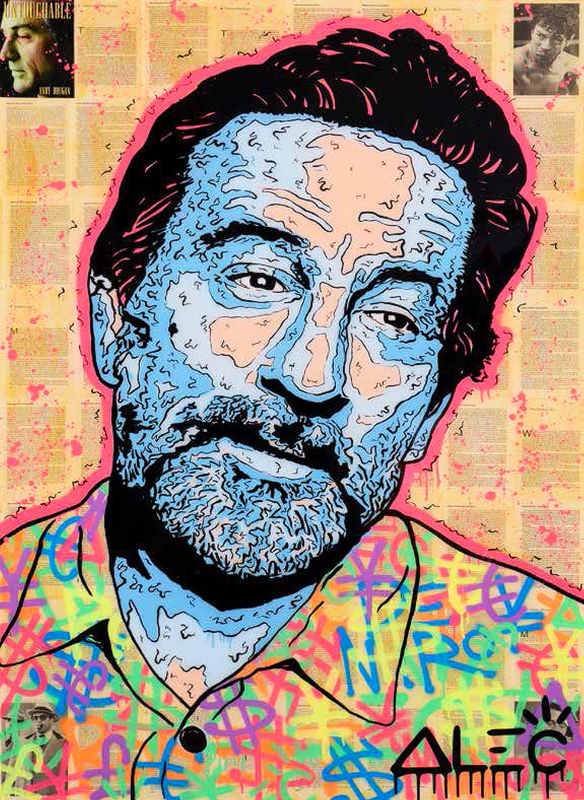 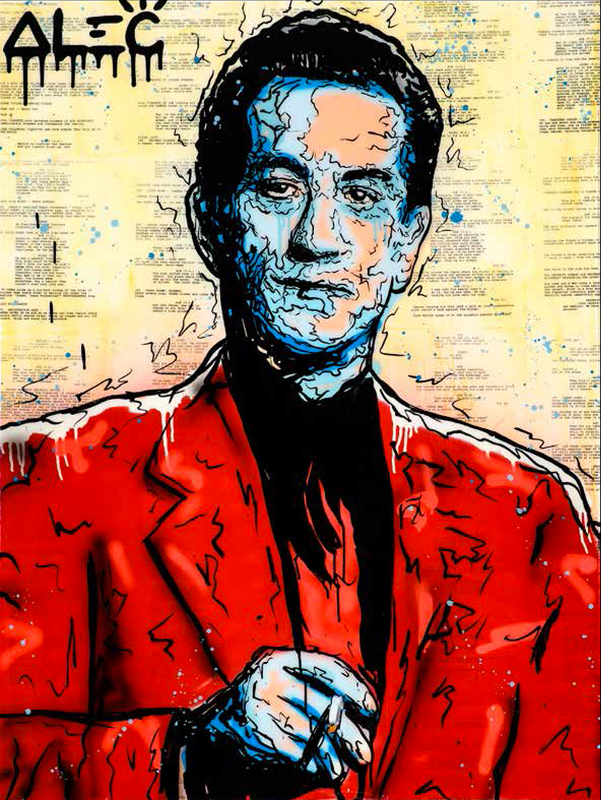 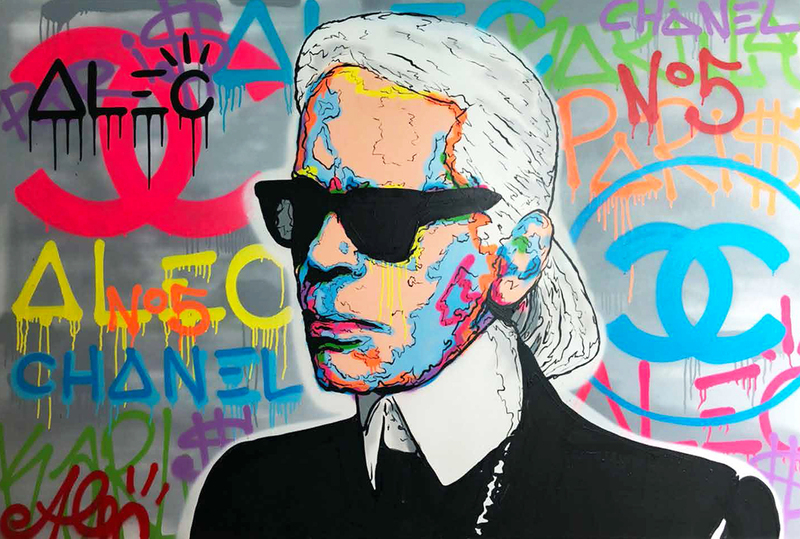 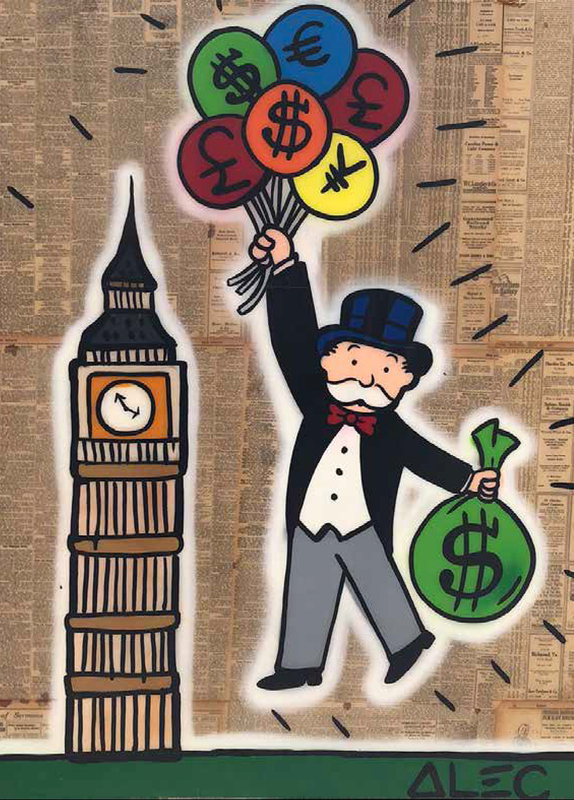 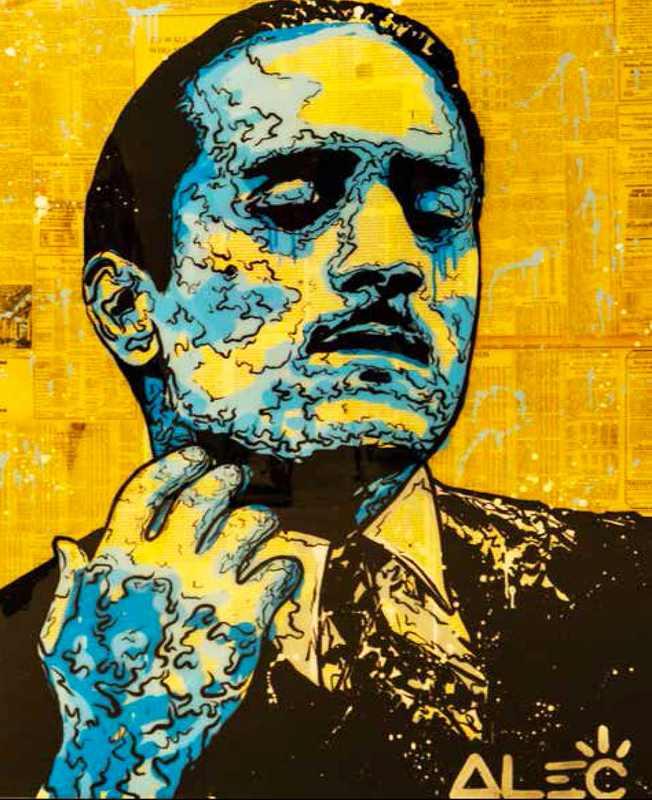 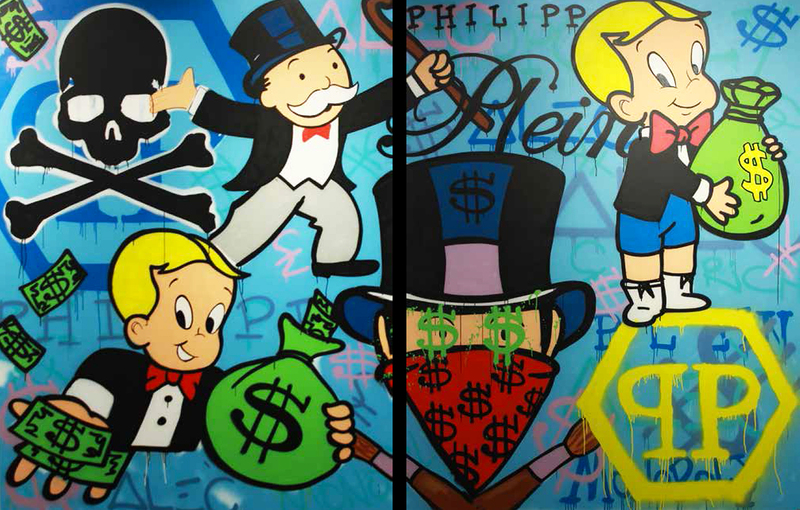 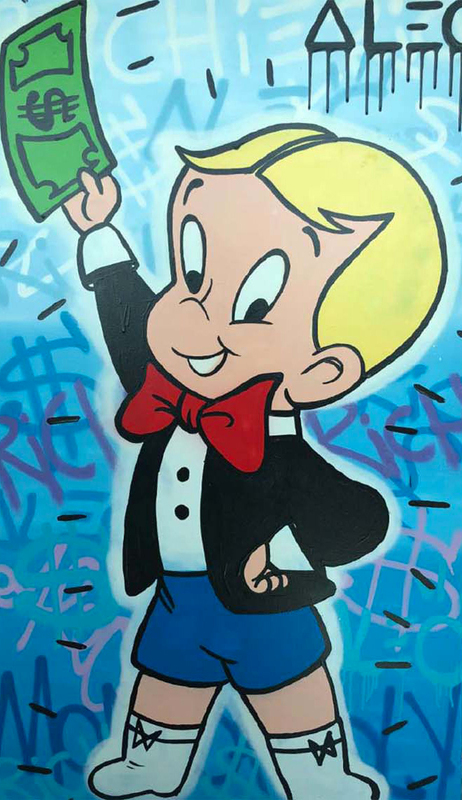 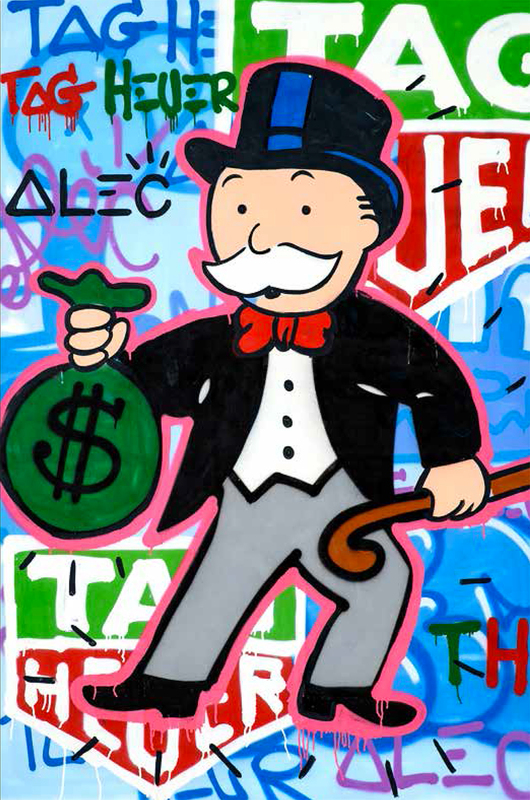 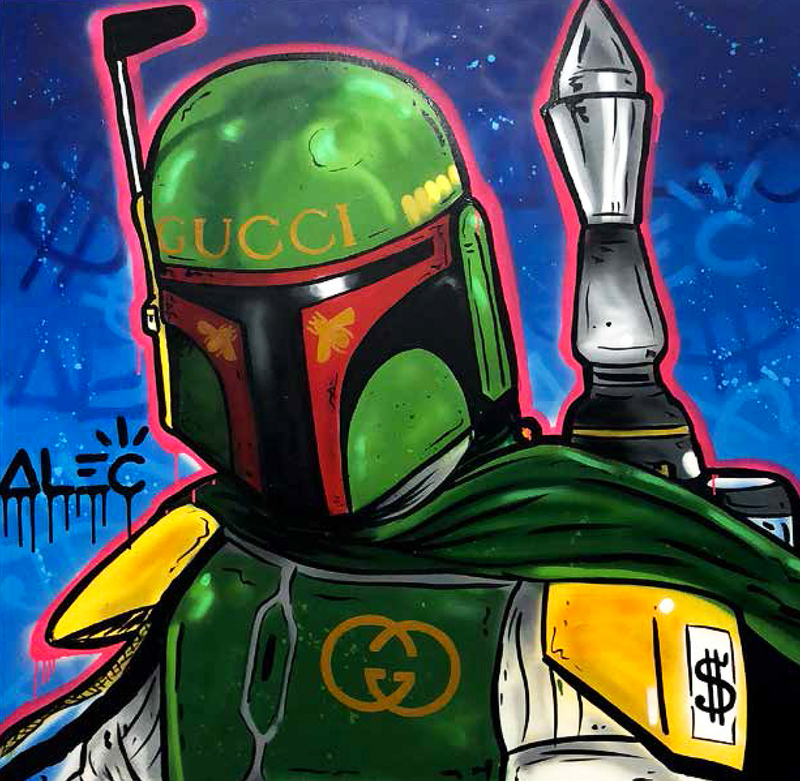 Using varied materials (including stencils, spray paint, epoxies, varnishes and newspapers) Monopoly subversively depicts various icons of pop culture using cartoon illustrations as his own political commentary, and in the process has generated his own recognizable style of street art. 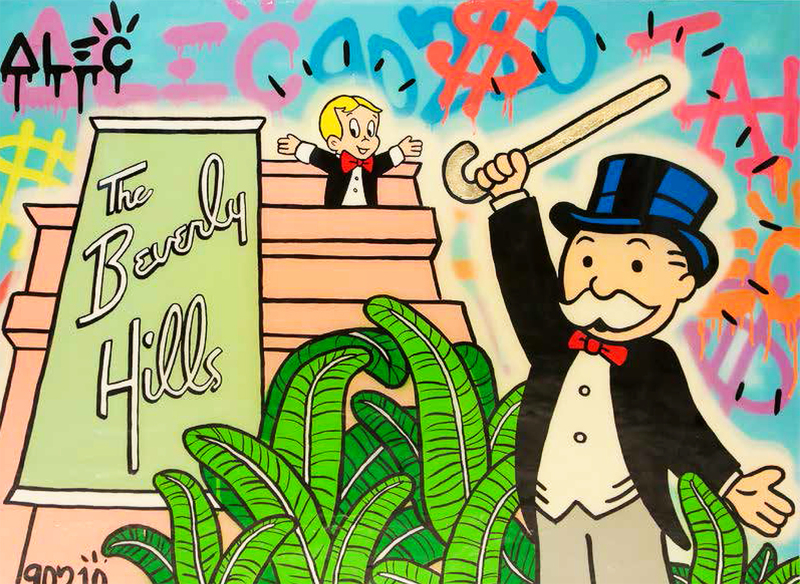 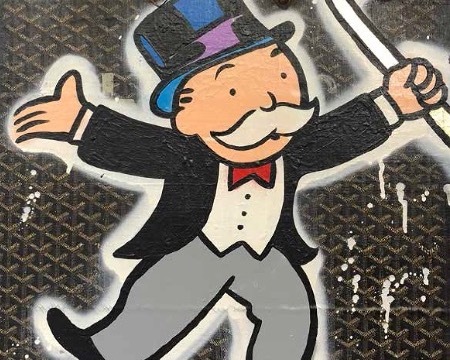 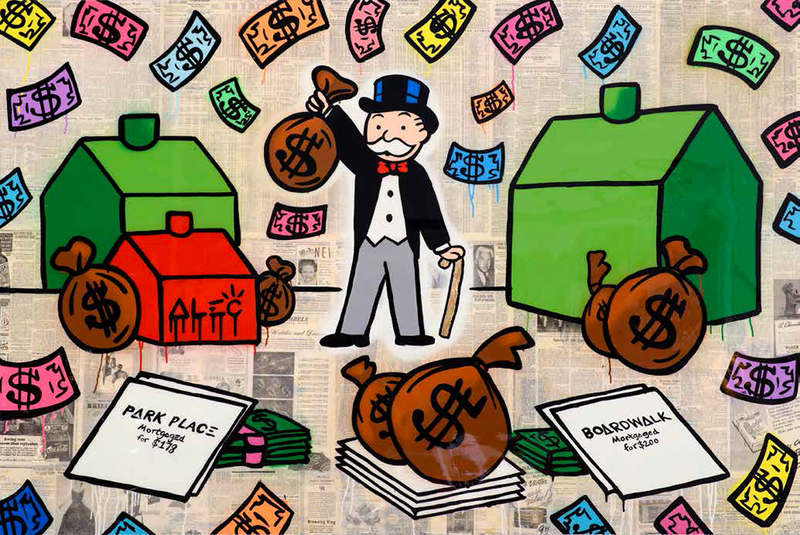 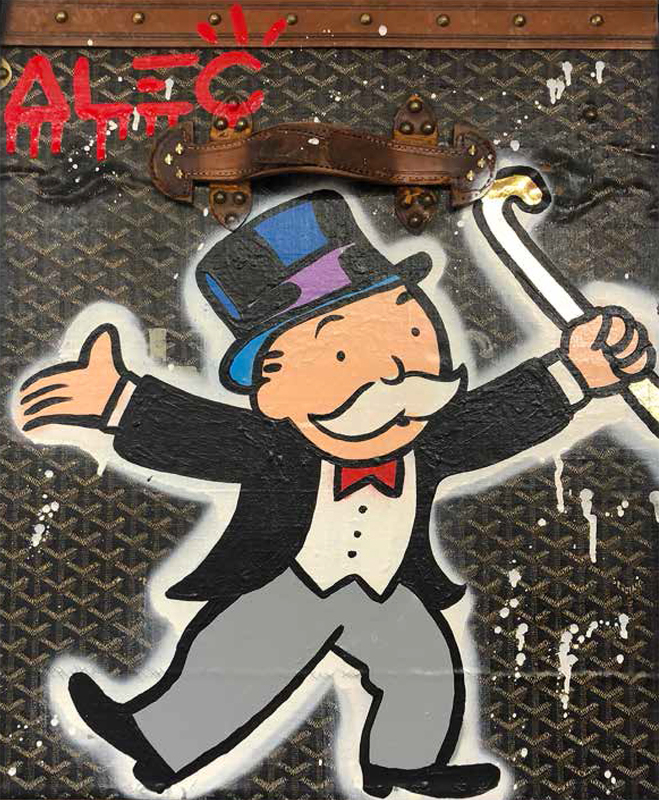 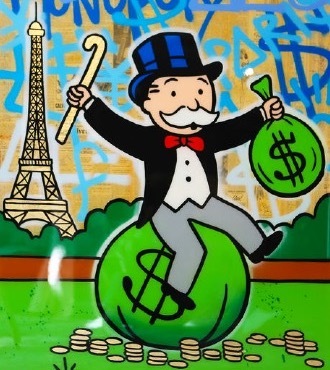 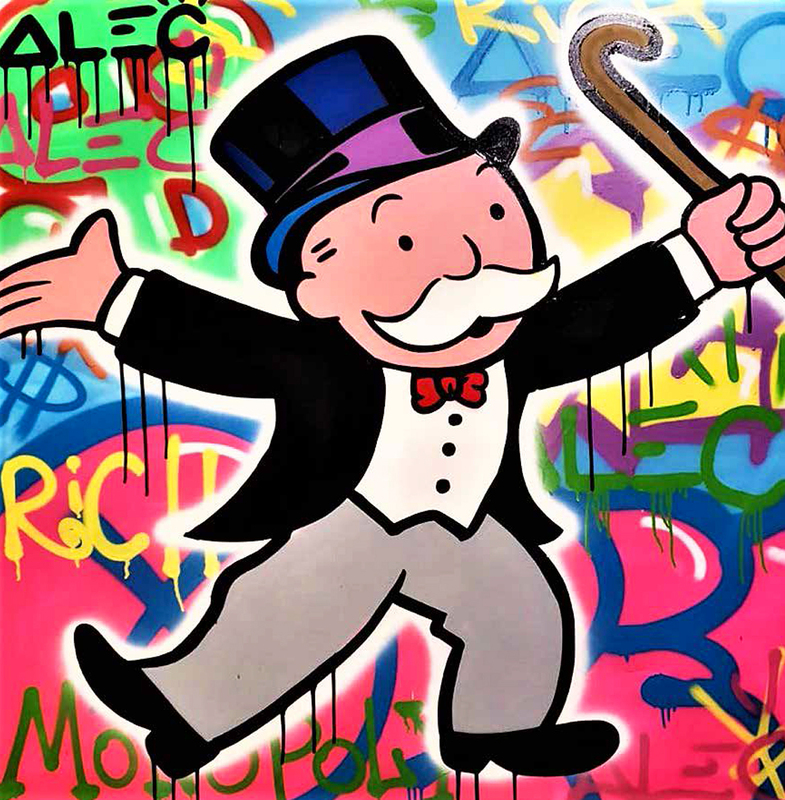 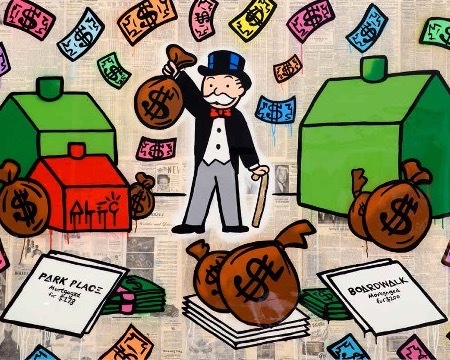 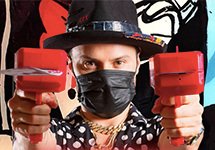 Monopoly’s tableaux, done on city surfaces, newsprint, sheet music or canvas, his work typically depicts the mustachioed, top-hat-wearing, Monopoly board game character performing a variety of activities, from sprinting with a moneybag under one arm to spinning turntables as a DJ. 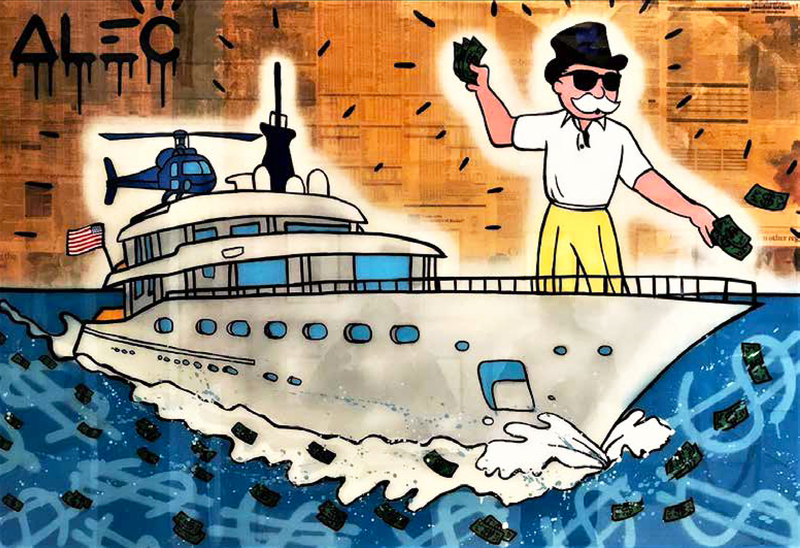 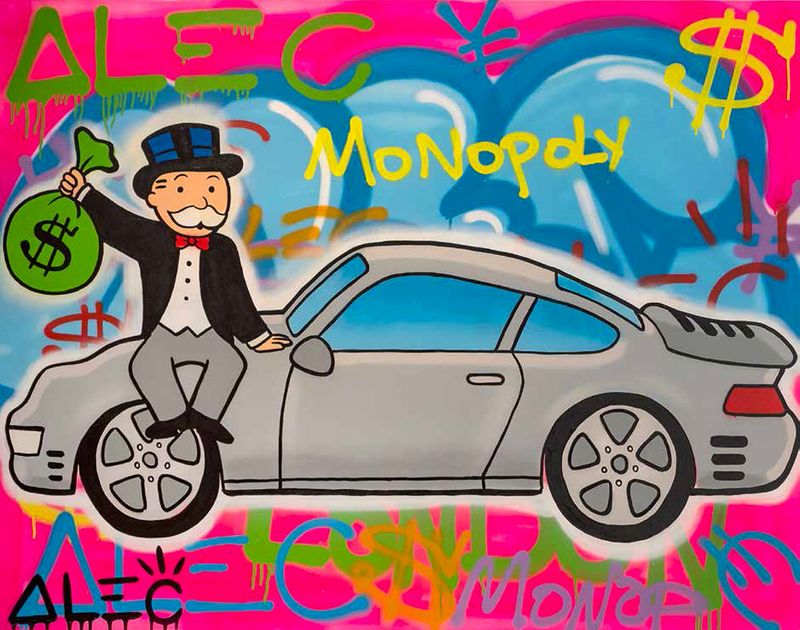 In 2016, Swiss watch company TAG Heuer announced a collaboration with Monopoly at Miami Art Basel, naming him the company’s “art provocateur.” He created a mural, live and on red carpet for the 2013 film, “BELIEVE,” about Justin Bieber. 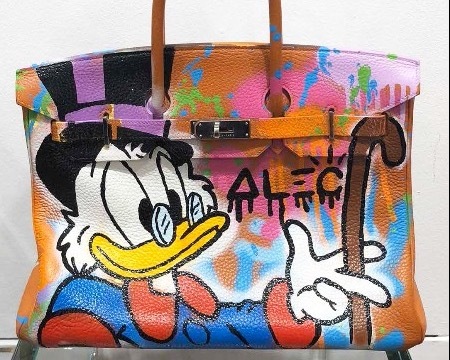 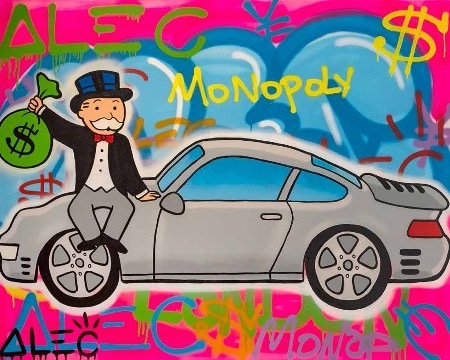 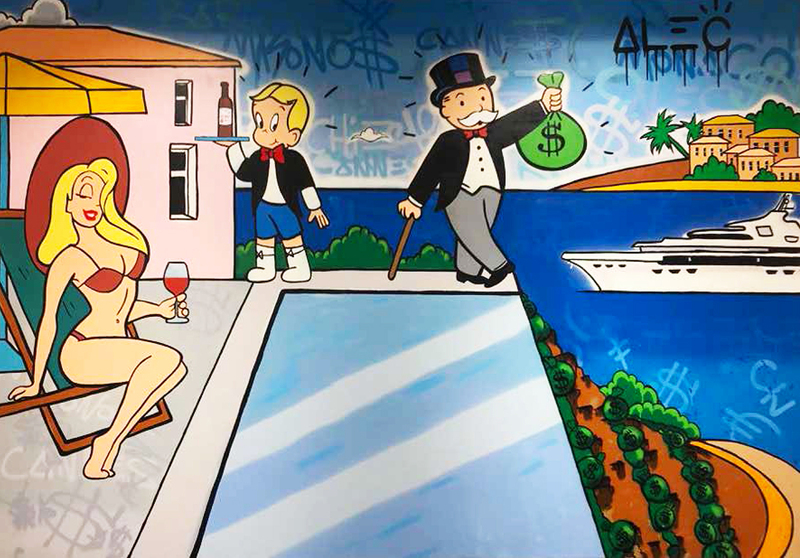 Monopoly’s work has been purchased by Miley Cyrus, Robin Thicke, Snoop Dogg, Seth Rogan, Adrien Brody and Iggy Azalea, among other renowned collectors.